Our team members are thorough professionals who are dedicated to their chosen profession. They are the masters of the craft and are proud to dispense their knowledge. Our staff has achieved industry recognised certification of their skill levels in the knowledge that they impart. Each member of our team has added value and contributed to the success of GN Infotech. The future of the institute as well as the future of thousands of students who train under them rests on the shoulders of our team. We realize this fully and we work continuously on ourselves to remainon the top of our game continuously. Together we have started a never ending journey of perfection and we are very much confident of crossing every milestone on this journey. 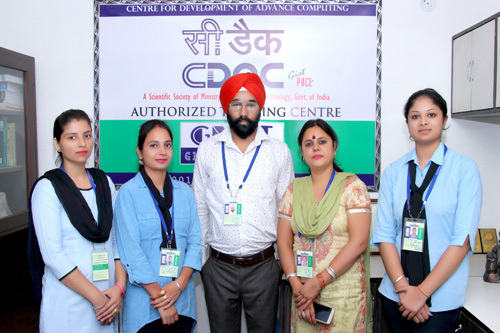 Mangat Singh is the Founder, Director & Chief trainer at GN Infotech. He is Certified by Microsoft and CISCO. He founded this institute in the year 2006 with a vision of consistently delivering comprehensive, efficient and cost-effective quality training solutions. He has more than 18 years training experience in Web Application Development.